Incase you don't know, Lenovo has acquired Motorola which brought to the name Moto after acquisition. So now, Moto is now a Lenovo brand. Moto E3 Power is a successor to Moto E3 with big difference in specifications and features. Moto E3 Power is powered by Quad-Core clocking at the speed of 1.0 GHz running on Android 6.0 Marshmallow. It features a Fingerprint scanner and also 4G LTE enabled. 5.0 inch screen display, 2GB RAM and 16GB internal memory. 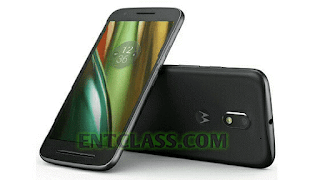 Check out the specifications, features and price of the Moto E3 Power below.